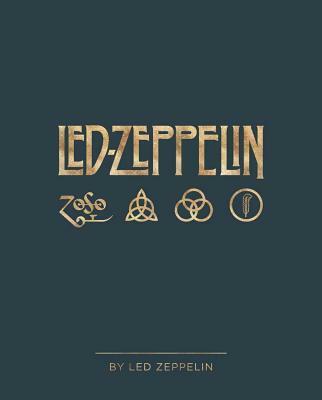 Led Zeppelin by Led Zeppelin is the first and only official illustrated book ever to be produced in full collaboration with the members of the band. Celebrating 50 years since their formation, this definitive 400-page volume charts the group's unparalleled musical career from the very first performance in a tiny club, to their performance at London's O2 Arena, when 20 million fans broke the world record for highest demand for tickets for a single concert. The book features over 300 photographs--many seen here for the first time--of Jimmy Page, Robert Plant, John Paul Jones and John Bonham from photographers around the world, and photographs from the band members' personal collections. The band are seen on and off stage, in candid moments and in the recording studio. Accompanying the photographs is rare and unseen artwork from the Led Zeppelin archives, and fascinating documents and images from the Atlantic Records vaults.